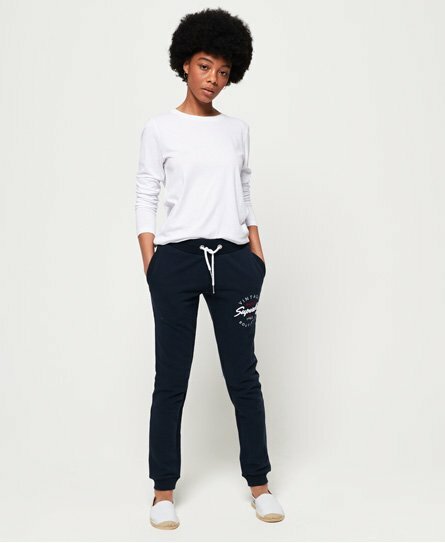 Superdry women's applique lite joggers. Comfort has never looked so good this season thanks to the applique lite joggers. Lightweight in design and with ribbed cuffs, the joggers feature a drawstring waist, two front pockets and have been finished with an applique logo graphic on one leg.